This weekend is no ordinary one – firstly it’s a long one here in Sydney thanks to a public holiday on Monday. But just as significant is Sunday – the 40th anniversary of World Vegetarian Day. World Vegetarian Day was founded in 1977 by the North American Vegetarian Society. Annually on 1st October Vegetarian Awareness Month kicks-off with this day. As regular readers will know I transitioned to a predominantly vegetarian diet last year after being a life long carnivore. For me there’s no going back to meat – not just because a vegetarianism has proven health benefits but also because it’s compassionate towards animals and the planet. To celebrate all things plant-based what follows is a recipe for a blue cheese or gorgonzola gratin – packed with leek and fennel. It’s a satisfying veggie gratin that I hope you’ll agree would stand up against a meaty dish any day. Whether you’re vegetarian or not – I’m hoping this recipe entices you. The ingredients here make one large gratin. Heat the butter or oil in a large saucepan and cook the leeks and fennel on a medium heat until soft. Mix through the garlic and thyme as the vegetables cook. Season with a little salt and pepper. In a separate pan heat the yoghurt slowly and crumble in the blue cheese. Heat until you have an even consistency – using a whisk if needed to remove any lumps of cheese. 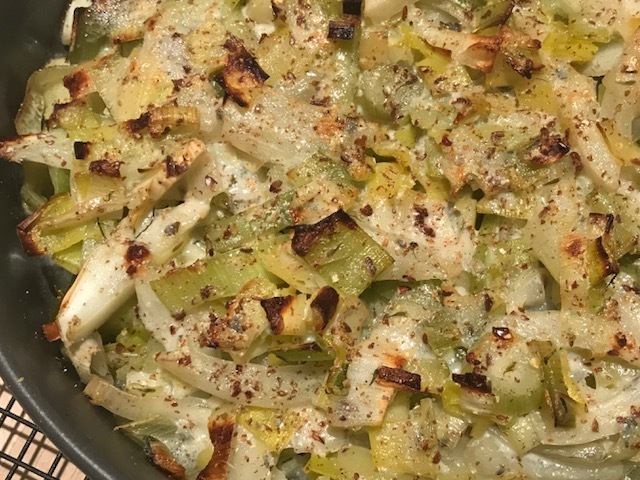 Transfer the leek and fennel mix into an ovenproof dish, sprinkle with a grating of nutmeg and pour over the cheese sauce. Mix the fresh breadcrumbs in a little olive oil and spread over the gratin. Cook in a pre-heated oven for around 30 minutes at 180C. Of course this gratin can be easily adapted – you could replace the fennel with cauliflower florets or the blue cheese with cheddar. Either way it’s a satisfying and simple veggie dinner made with just a handful of ingredients. 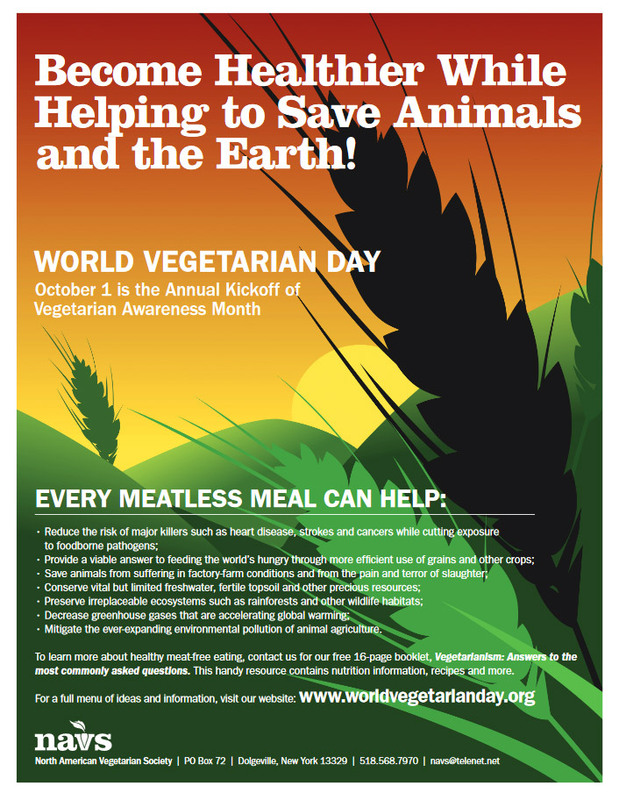 And before you go check out World Vegetarian Day’s website and consider whether you can also spread the word! 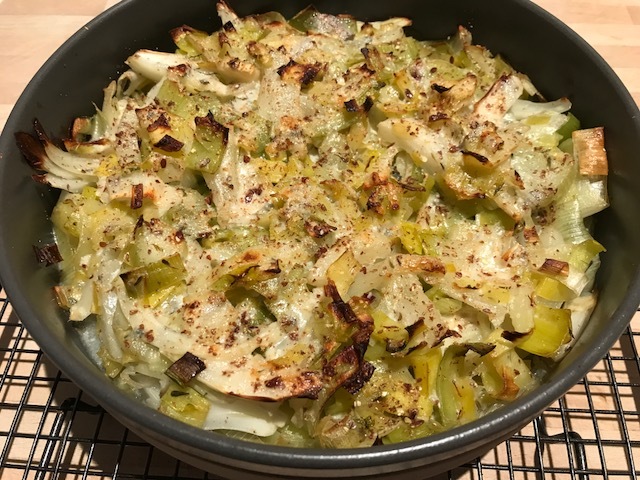 Tags: fennel, gorgonzola, gratin, leek, world vegetarian day. Bookmark the permalink. So nice to spread vegetarianism ! I salute you, I was a vegetarian when younger but fell of the wagon. This sounds delicious either way. Thanks Liz – funny my sister was vegetarian as a youngest and at the time I thought she was crazy – how different things are 20 years later…. I’ve been mostly vegetarian most of my life but had no clue about this day. Well, now I know! This dish looks wonderful… I am sure even the non-vegetarians in my family will be pleased with it! This looks wonderful! On another note, my husband and I will have a few days to experience Sydney pretty soon. Can you make any suggestions? Don’t work too hard on this – it’s just that we’re not really city people, so we’d love to find a historic area, and we don’t want to climb the bridge! Of course I am researching this as well. And restaurant suggestions would be great also. We’ll be staying at the Shangri-La Hotel, although I doubt that will matter! Wow thanks! Seriously though, don’t work too hard on this. There are a lot of resources online, but we just had a grandbaby and so I haven’t begun to read up on Sydney. We leave here on the 26t. I’m so excited! We love fine dining, but maybe won’t have the proper clothes. So I’d say stick with casual dining, ethnic places, authentic Australian cuisine (what it’s become), and anything else you can recommend!!! Hi Mimi a few picks for you close to your hotel would be Fratelli Fresh and Ventuno – both a short walk from your hotel by the water in Walsh Bay. In the city try The Grounds of the City for breakfast or lunch. And don’t miss The Fine Food Store in The Rocks for breakfast or lunch. Hope these few tips help!